December 5: 5 POWER Lessons From 5 Leaders Who Made History On This DAY! Unleash the unknown powers within you with these lessons from some of the pioneers of our history. Knowingly or unknowingly, there occur situations in life that helps us realize that our ability is much more than what we think it is. It is also important for us to be prepared for certain situations that are bound to throw challenges at us. Follow this read that shall not just give you strength to handle them, but also help you to prevent you from wrong doings that might otherwise happen . 1. The only power that can break through every barrier in the world is IMAGINATION! 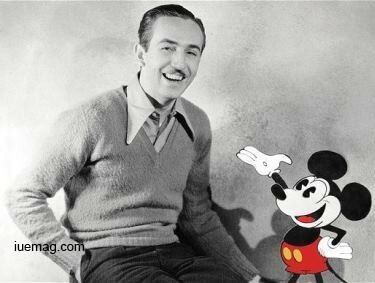 Don’t forget to thank the man whose imagination made our childhoods memorable and worth – Walt Disney, a pioneer of the animation industry; the creator of some of the most loved cartoons like ‘The Mickey Mouse’ and ‘Oswald the lucky rabbit’, animations like ‘the Snow White and the Seven Dwarfs’, ‘Fantasia’, ‘Cinderella’, ‘Alice in wonderland’ and many others. Disney practiced drawing by copying the front-page cartoons of Ryan Walker. Later, he slowly developer his art and began to evolve with his imaginations. One cannot deny that, through his work, he has definitely brought joy, happiness and a universal means of communication. Walt Disney, with members of his staff, received more than 950 honors and citations from throughout the world, including 48 Academy Awards and 7 Emmys in his lifetime, creating an unbreakable record. As the possessor of one of the most unique imaginations the world has ever known, he truly showcases what it means to actually ‘Dream BIG’. 2. The moment you start accepting challenges is the moment you start moving forward. Be a warrior and not a worrier! Had he not pushed himself through the obstacles, his education would have been left incomplete and the world wouldn’t have known Cecil Frank Powell, as the reason behind the development of the photographic method of studying nuclear processes. He was also the proud member of the World Federation of Scientific Workers. 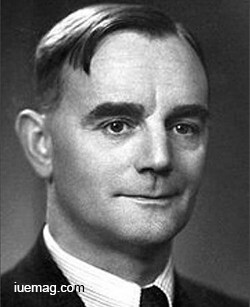 In 1949, Powell became a Fellow of the Royal Society and received the society's Hughes Medal the same year. He also received a Noble prize for his work in 1950. Coming from a humble and unprivileged background, it was not possible for his gunsmiths’ family to provide him for education after his primary education at a local school, but that didn’t stop this young scientist from pursuing his dreams. By accepting the situation and still not giving up, he went on to study in some of the prestigious institutions on scholarships. The value he gave to learning as many as he could get access to, led him to becoming one of the best known English physicist in our history. He is also known for discovering the subatomic particle – pion (pi-meson). Powell received the Royal Medal in the year 1961 and was also awarded the Lomonosov Gold Medal by the Academy of Sciences of the USSR. 3. Build something that outlives you. Live and leave a legacy! 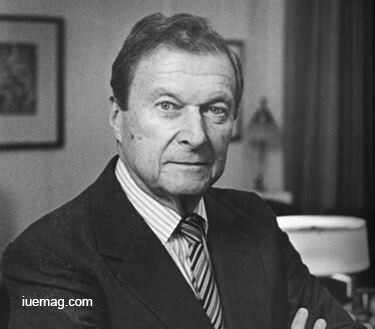 The inventor of the world's first effective live polio vaccine was Hilary Koprowski, a Polish virologist and immunologist active in the United States, who built a gateway for the scientists of his future. Koprowski's was the first serious scientific attempt at a live-virus polio vaccine, which he administered to himself and 20 children at Letchworth Village, a home for the disabled, in New York. Out of the 20 children who were given the vaccine, 17 of them developed antibodies to polio virus (the other 3 already had antibodies); none of the children developed issues. Although his method of using live viruses was not approved, it led to various developments to produce safer polio vaccines. Koprowski received many academic honours and national decorations, including the Belgian Order of the Lion, the French Order of Merit and Legion of Honour, Finland's Order of the Lion, and Poland's Order of Merit. He authored or co-authored over 875 scientific papers. He also served as a consultant to the World Health Organization and the Pan American Health Organization. 4. Maturity doesn’t come with age; in fact, it’s deeper than age. It is about the way you see and understand things, the way you consider others, the way you communicate, the way you react, the things you value and the way you represent yourself. Everyone grows old, but not everyone is growing up. At the age of 24, he was appointed as a Lecturer in Theoretical Physics at the University of Copenhagen under Niels Bohr, a physicist who made foundational contributions to understanding atomic structure and quantum theory. 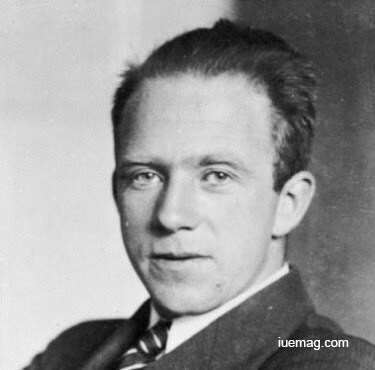 Heisenberg was also appointed as the Professor of Theoretical Physics at the University of Leipzig while he was still 26, when he also published his ‘uncertainty principle’, upon which he built his philosophy and for which he is best known. Heisenberg received an honorary doctorate of the University of Bruxelles, of the Technological University Karlsruhe, and of the University of Budapest; he is also recipient of the Order of Merit of Bavaria, and the Grand Cross for Federal Services with Star (Germany). His achievements certainly explain how growth does not require age, but your passion and readiness to grow. 5. PERSISTENCE and RESILIENCE are your best friends in times of adversity. It is a great opportunity to understand our inner strengths when we got to push through adversity. The human mind is so powerful that it has the ability to heal any wound – physical or psychological. 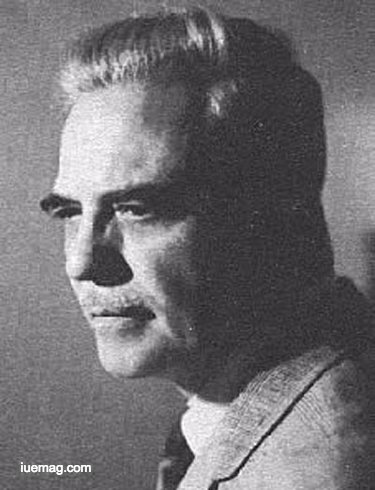 Milton Hyland Erickson, the founding president of the American Society for Clinical Hypnosis, drew upon his own experiences to provide examples of the power of the unconscious mind. He contracted polio when he was just 17 years old, which was so severe that the doctors believed he would die. At this critical time, he had another formative ‘auto-hypnotic experience’. He began to recall memories of the muscular activity of his own body. By focusing on these memories, he began to regain control of parts of his body gradually, and in a little time, he was able to talk and use his arms. He decided to train his body further, when he was unable to walk, by going on a thousand-mile canoe trip all alone with only a few dollars. It was after this wearying journey that he was able to walk with a cane. If you have inspiring articles related to history and want us to feature them on our platform please feel free to eMail us the articles, connect with us on any of the social media platforms and let us know the same. Any facts, figures or references stated here are made by the author & don't reflect the endorsement of iU at all times unless otherwise drafted by official staff at iU. This article was first published here on 5th December 2016.